Join us at the Novotel Phuket Karon Beach Resort for your next vacation! Our resort is the perfect destination for your upcoming fun and relaxing holiday. From casual poolside dining at Joe Kool’s to delicious Thai and Asian cuisine at the Ocean’s Restaurant, our modern-styled resort and our team is ready to welcome you to Phuket, the pearl of the Andaman sea. With a 24-hour fitness center, kid’s club, three swimming pools and a water slide – there is something for everyone. Oh… and for all of you beach lovers – the Karon beach is just across the road from our hotel. How about heading to the city for a night out – we are only 10 minutes away from Patong. We offer you the best combination of relaxation and fun. 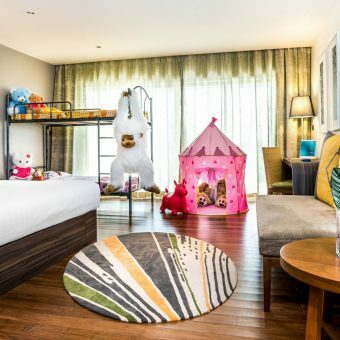 Book now until 13 May 2019 to get 20% off your room, and exclusively for Le Club Accorhotels members – Enjoy 20% off plus FREE breakfast.